The demand for highly competent and nationally certified pharmacy technician is a natural response to changes in health care and the expanding role of registered pharmacists. Pharmacy technicians work under the direction of pharmacists to interpret prescription orders, maintain patient records, maintain drug supply, handle automation, package and label medications, compound medications, prepare sterile products, and manage billing and reimbursements. 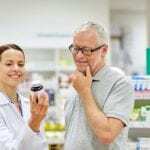 They work in a variety of health care settings, including community pharmacies, hospitals, home health agencies, long-term care facilities, nuclear pharmacies, mail order pharmacies, and drug wholesalers. Pharmacy technician programs in Illinois include a classroom and practical component to prepare students for national certification. Students must secure a license from the State Board of Pharmacy before commencing the pharmacy externship. Licensing will require a background check, drug screen, and possible fingerprinting. The job prospects for graduates are excellent. Salary and benefits depend on training, certification, education and geographic location, and can range from $19760 to $42,400. The pharmacy technician program at Waubonsee Community College prepares students for the PTCB national exam and a career as an assistant to a registered pharmacist. The program covers key areas, including pharmacy calculations, medical terminology, dosage calculations, IV flow rates, dose conversions, drug compounding, review of the top 200 drugs, interpreting prescriptions, dispensing prescriptions, inventory control, and billing and reimbursement. Interested persons must have or be pursuing a high school diploma or GED. Graduates must have a high school diploma or GED to sit the PTCB after completing the 50-hour course. An occupational clinical externship is available to all graduates. Classes meet two days a week from 6:00 pm to 9:30 pm. Tuition for the course is $1,299. The College of DuPage prepares pharmacy technician students for an exciting career in the fast-growing field of pharmacy. The program meets the requirements of the State Board of Pharmacy and prepares students for national certification exam – the PTCB or the EXCPT. The school is an approved testing site for the EXCPT. The 90-hour program helps students develop the knowledge and skills to work in a community or hospital pharmacy where they provide support to registered pharmacists. They also acquire the communication skills to attend to customers’ needs. The curriculum is divided into 80 hours in the classroom and 10 hours of online instruction for pharmacy calculations and preparation for the national exam. An optional externship is included in the course fee. Classes meet Tuesdays and Thursdays from 6:00 pm to 9:00 pm for approximately 4 months. A Saturday class schedule is also available. Interested persons must have a high school diploma or GED, proficiency in English, and no prior drug convictions. Students must attend an information session where counsellors will cover course logistics, an overview of the curriculum, and program expectations. Tuition for the program is $1,499 and does not include books and the pharmacy technician licensing fee. The program is approved for funding from the WIOA. The ASHP/ACPE-accredited pharmacy technician certificate program at South Suburban College prepares students to assist pharmacists in the preparation and dispensing of medications. The curriculum includes training in medication order processing, inventory control, packaging, aseptic IV preparation, using of prescription balance, and computer technology. Other essential areas of study include pharmacology, medical terminology, pharmacy law, pharmacy math, and human body structure. Students can enroll in the 39-credit program on a part-time or full-time basis. The program is open for admission each semester. 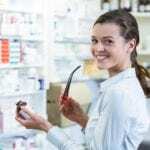 In addition to classroom sessions, students must complete 300 hours of supervised practice in many pharmacy settings – hospital and community pharmacies. Students are responsible for transport to and from the pharmacy sites. 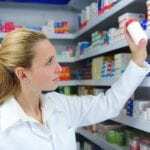 A licensed must be secured from the State Board of Pharmacy before commencing the externship. An abbreviated and fast-paced alternative to the ASHP-accredited certificate program is also available. The 6-credit alternative is designed to prepare students for entry-level employment in a community pharmacy. Graduates of the 39-credit program may take additional coursework to earn an Associate’s Degree in General Studies. Interested persons must submit an application, fee, and all official high school transcripts and any college transcripts to the Office of Admissions. An additional application must be submitted to the Pharmacy Technician Program before November 15th for the Spring semester or May 1st for the Fall semester. Additional requirements include current health care insurance, a grade C or better in Human Body Structure, English Composition, Medical Terminology, and a grade B or above in Elementary Algebra. Tuition costs approximately $5,265 for in-state students. Additional fees will apply. Students must budget for textbooks, lab coats, and other supplies. Chicago ORT Technical Institute’s pharmacy technician program helps adults develop the skills to work in the pharmacy or pharmaceutical industry. Students learn pharmaceutical laws, insurance billing, dosage calculations and conversions, compounding and much more. Experienced instructors also cover pharmacy equipment and maintenance, payment collection, inventory control, pharmaceuticals, supply distribution, purchasing methods, pharmacy terminology, pharmacy ethics, communication skills and operating systems. A thorough preparation for the PTCB exam gives students the confidence to succeed. At the conclusion of the program, students must complete a pharmacy externship.